A network switch is ubiquitous in data center: it functions as a multi-port network hardware device that bridges and routes data across multiple devices and corporate network segments. 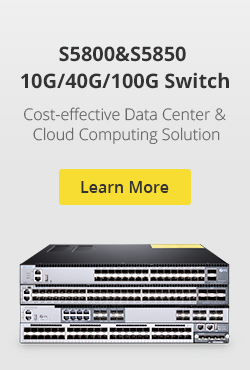 Cisco is one of the most famous and reliable switch vendors throughout the world. Among its dazzling switch product line, WS-C2960X-24PS-L and WS-C2960S-24PS-L are two Gigabit Ethernet switches that optimal for enterprise-class access for campus and branch applications. Merely judging from their physical appearance, these switches are nearly the same: configured with 24 10/100/100 Ethernet interface and 4 SFP uplinks. So when it comes to WS-C2960X-24PS-L vs WS-C2960S-24PS-L, what the differences is? As a member of Cisco Catalyst 2960-X series, WS-C2960X-24PS-L includes a single fixed power supply and are available with either the Cisco IOS LAN Base or LAN Lite feature set. It is designed for operational simplicity to lower total cost of ownership, enabling scalable, secure and energy-efficient business operations with intelligent services and a range of advanced Cisco IOS Software features. WS-C2960X-24PS-L PoE switch also support Power over Ethernet Plus (PoE+) with up to 740W of PoE budget. As for WS-C2960S-24PS-L, however, belongs to Cisco Catalyst 2960-S series. It enables reliable and secure business operations with lower total cost of ownership through a range of innovative features including FlexStack stacking with 20 Gbps of stack throughput (optional), Power over Ethernet Plus (PoE+) up to 740W, and Cisco Catalyst Smart Operations. WS-C2960S-24PS-L is ideal for deploying cost-effective wired connectivity in traditional desktop workspace environment, and enforcing basic security policies to limit access to the network and mitigate threats. The linecard configuration of WS-C2960X-24PS-L vs WS-C2960S-24PS-L is nearly the same: both have 24 10/100/1000 Ethernet ports and 4 SFP uplink interface. And they are all stackable switches. The difference is that the switching capacity of WS-C2960X-24PS-L is slightly larger than WS C2960S-24PS-L, as shown in the following chart. Both configured with 24 10/100/1000Base Ethernet interface and 4 SFP uplinks, WS-C2960X-24PS-L vs WS-C2960S-24PS-L supports SFP transceivers to be fitted in the ports. The following chart show all the compatible SFP modules provided by FS. The switching capacity of WS-C2960X-24PS-L is larger than that of WS-C2960S-24PS-L, but they are both decent network switches that easy to operate. WS-C2960X-24PS-L vs WS-C2960S-24PS-L, the final decision should base on your specific networking environment. All the compatible SFP optical modules presented in the above chart are available at FS. 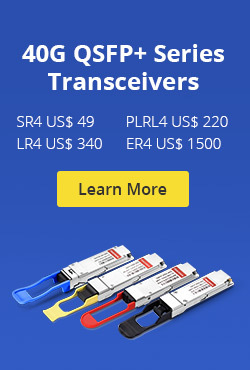 FS manufactures a variety of high-standard optical transceivers, each of them are strictly tested for fully compatibility with the original brand. For more details, please visit www.fs.com or contact sales via sales@fs.com. This entry was posted in Switch & Transceiver and tagged network switch, WS-C2960S-24PS-L, WS-C2960X-24PS-L, WS-C2960X-24PS-L vs WS-C2960S-24PS-L on October 14, 2017 by Aria Zhu.